The software that you’re looking at represents the most advanced technology in the embroidery design field today. With the innovative features in Creative DRAWings®, you can easily transform your creative ideas into beautiful embroideries to stitch out on your machine. Creative DRAWings® is not like other embroidery software on the market. It is designed to do the “thinking”, allowing your creative ideas to flow free. That means you don’t have to worry about the technical issues in creating your embroidery design. This could be a piece of clipart, an existing embroidery file, or other compatible file in vector and bitmap formats to create unique embroidery designs. The software includes tools to help you draw your ideas right on the monitor screen, and with only a few mouse clicks, changes them into personalized creations. New and original embroidery designs that you can proudly share with your family, friends, and fellow embroidery enthusiasts are easily within your reach. 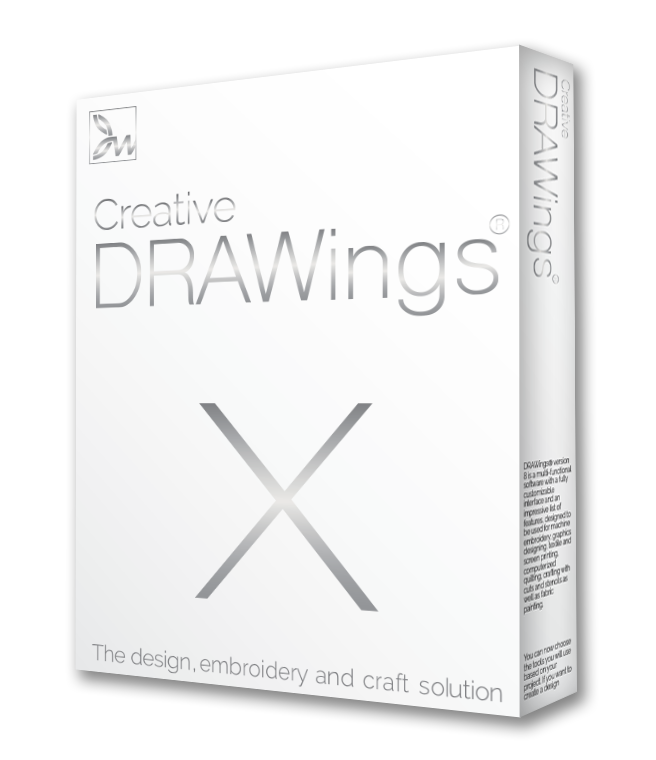 Creative DRAWings® is powerful – but very easy to use software. Everybody, and we do mean EVERYBODY, can be creative! You love your hobby and you deserve to enjoy it; let your imagination run wild… be creative with Creative DRAWings®! Contact us anytime to find out which embroidery software is right for you!